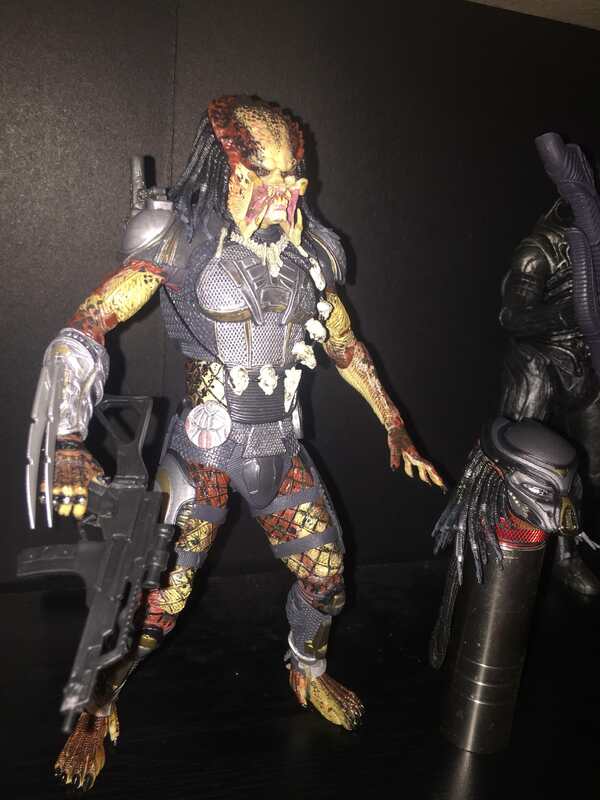 NECA has just announced their latest figure based on The Predator! The Fugitive is already in stores in the States and we’ve seen prototypes of the Assassin (the Upgrade) and now we’ve got a look and a release date for their Emissary figure! Judging by the purple colouration, this Emissary is actually based on the one portrayed by Brian A. Prince. Kyle Straut’s Emissary had a more green/blue colouration. With how NECA have called this Emissary #1, it’s possible we’ll be seeing a second Emissary with Kyle’s colouration. 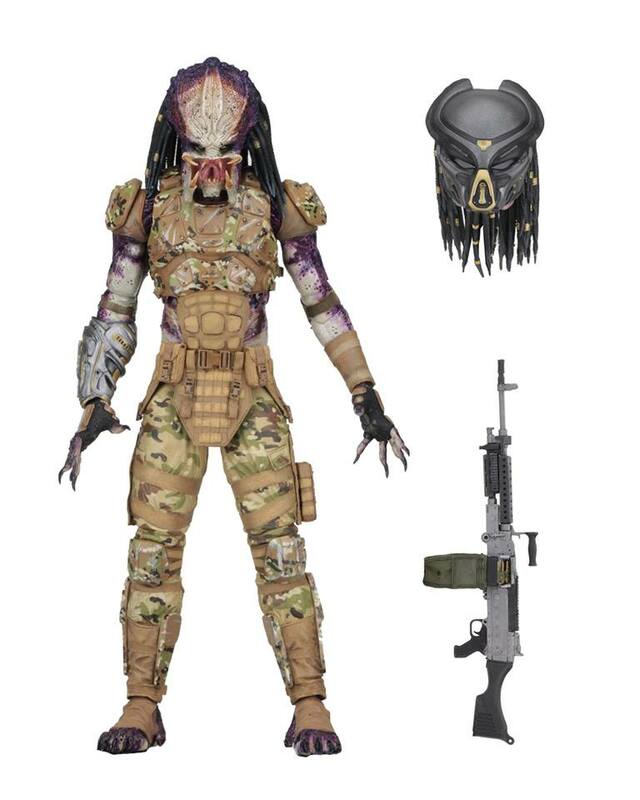 NECA’s Emissary Predator #1 figure is expected to hit stores in early November 2018! Alien vs. 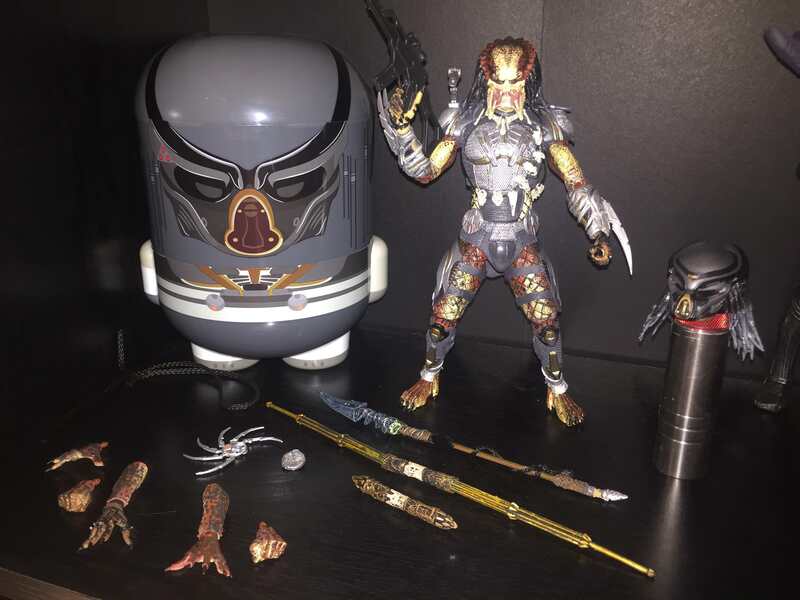 Predator Galaxy recently had the opportunity to talk to both Brian and Kyle about their time on The Predator. They also spoke about the Emissary Predators. Be sure to give that interview a listen! NECA’s Announces Colonel James Cameron Figure! ^ Looking good! 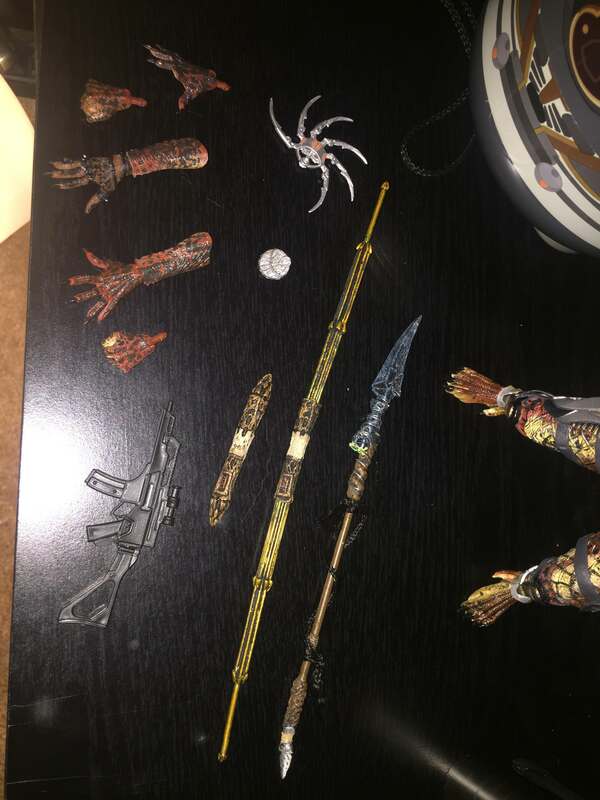 Nice job with the accessories ! I've no idea, I'm afraid. It's a UK based store though so I've actually frigging ordered this. ^ So good it almost completely erases thermal Dutch out of my mind. Nice! Ya I dont think they make a new cut. But I wouldn't be surprised if they release the other scenes online or the Blu-ray. At least a year later. And I would buy them twice. Not so sure that I like that outfit. Perhaps it was for the best that they dropped this guy from the film after all. Since they already did not do anything what was established before, I would have liked to see the whole film, much like the Donner cut of Superman 2 years later and BvS half a year after release. I wouldn't get my hopes up for that if I were you. Not counting on it, but it would be great to see. It would indeed be interesting. I like that Emissary Pred. 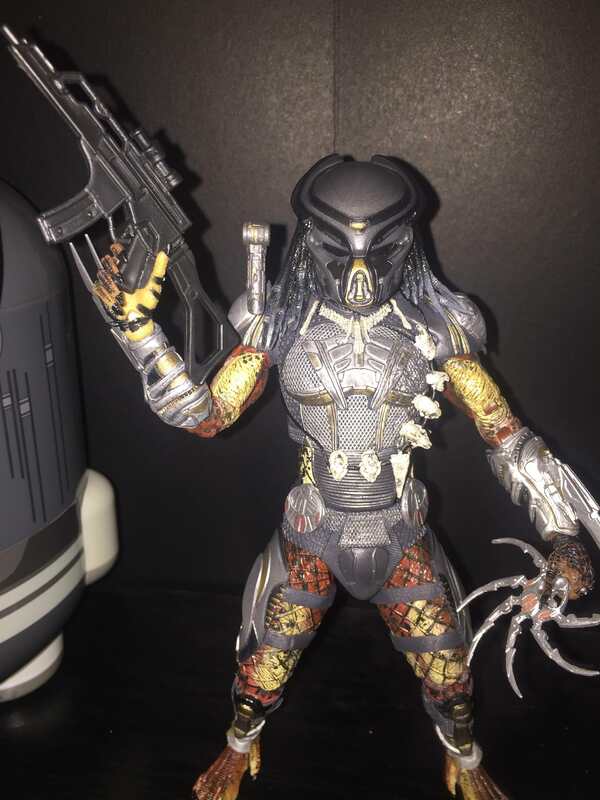 I mean, any Pred figure with a wholly unique design (ill-advised or not) I think deserves attention. And the concept seems to work far better for me as a toy than an on-film as well. Agreed. Not saying what I think should happen, just bringing up the logic while designing the emissary's looks. I fundamentally disagree with 80% of the choices in the film, yet still had a decent time. So glad this was cut from the film. Unbelievably stupid concept. Emissary: "So yeah, I may have access to sophisticated light-bending camouflage and plasma caster weaponry, but I'm a gonna wear these cammo pants and use this primitive earth weapon instead. As said: missing left gauntlet which housed the cloaking balls. The cloaking balls I felt could have been another concept left out. 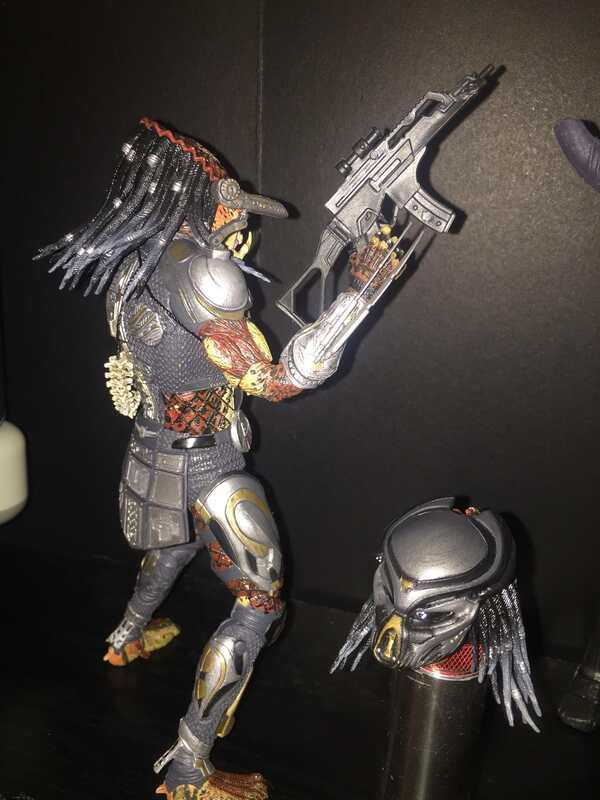 I don't like seeing a Predator camouflaged without its helmet, it just seems...….wrong. Looks like they are planning on doing both. If they have been collaborating for a long time, the only reason I see is not to be confused in the field. They do miss their left gauntlet for some reason. But wouldn't they have no need for any translating by the time Rory shows up? Huh, I didn't know they were supposed to have been living here for years. I always assumed (having stayed well clear of any details from the leaked script prior to seeing the film) that they were meant to have come to Earth not long before Upgrade and Fugitive. Was it stated at any point how long they were meant to have been here for? And how did the movie introduce them? The only thing I've ever heard is that they showed up during the cut APC chase sequence, but under what circumstances? I'd rationalised it as they've just been here that long. Their own clothing, equipment, whatever, was damaged in previous engagements or just over time and so they just made do with local substitutes. I was never entirely sure what the deal was with the camo outfits. I assume it's something the humans gave to them/created for them, rather what they had on when they came to Earth, for some reason? Hm I thought for sure the next figure would be the PK. 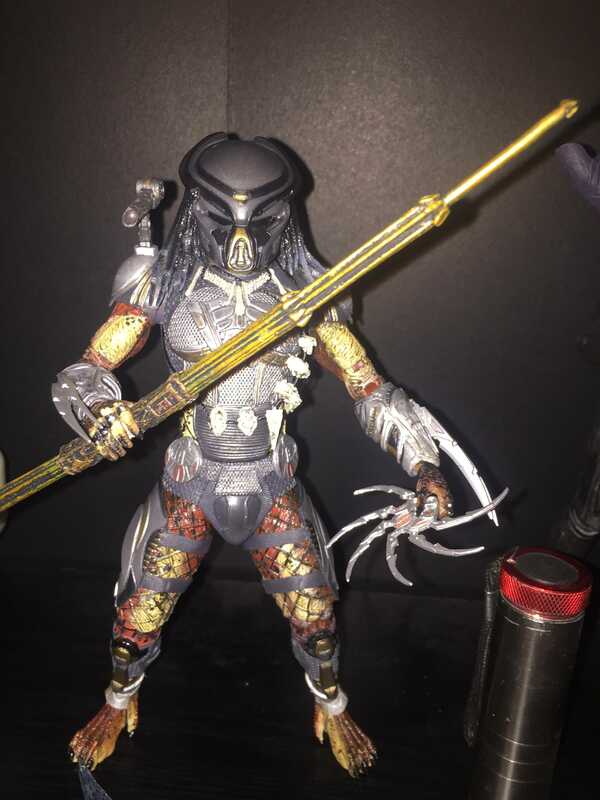 But I guess this makes more sense, they probably had the Emissary Predator done since last year. They also did say "TBD" when someone asked about a PK figure. I figure that one would take longer since it would require a brand new sculpt and tooling. Looks fantastic cannot wait to see the 2nd one! Damn. 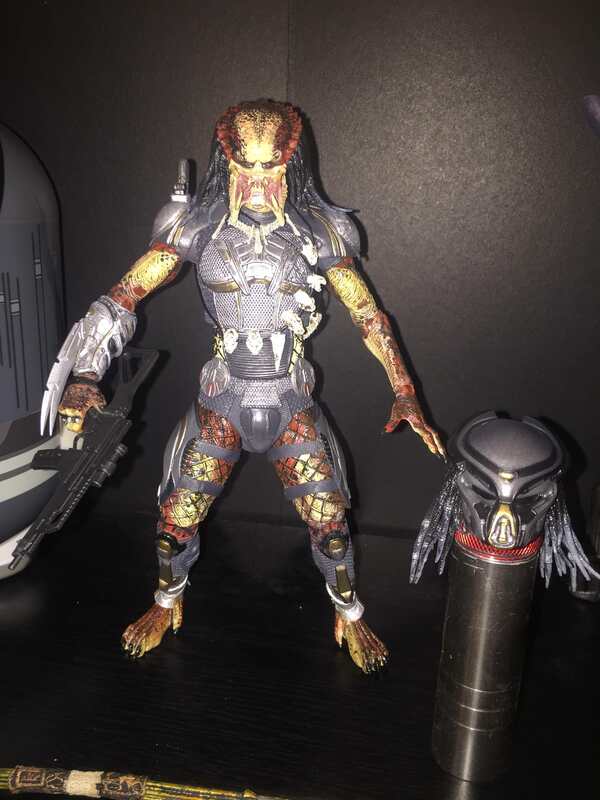 Neca can really make predator figures out of anything. 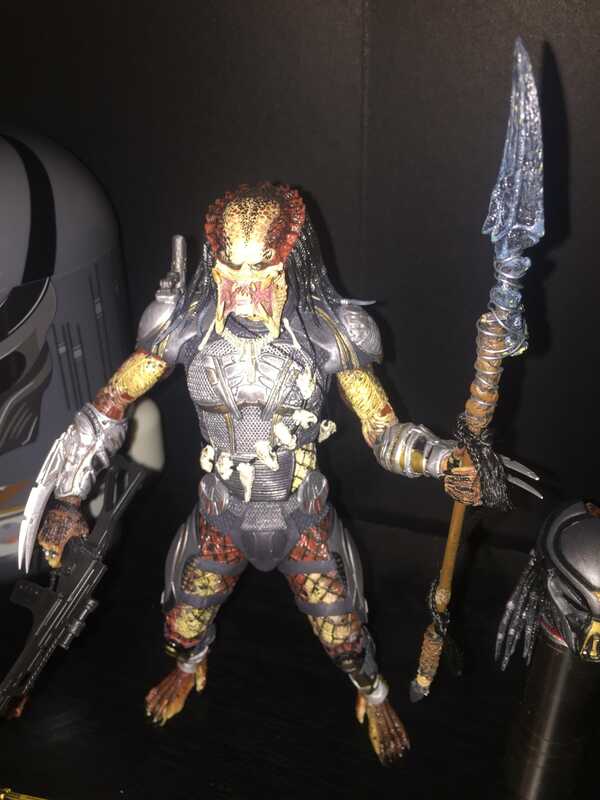 I'm still waiting from the ones from AVP2, they had some really cool designs in the game, but at least they made m'boy Scarface.